I am an artist, writer, and photographer, devoted to California native plants, gardening, compost, hummingbirds, matilija poppies, evening primroses, ceanothus, and coast live oaks. 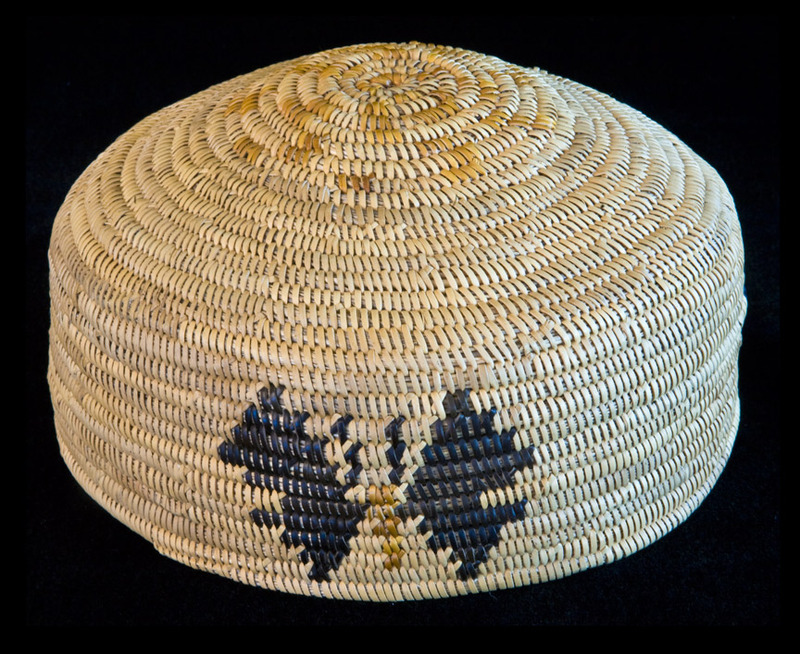 Dog lover, walker, and Mexico aficionado, I collaborate with several Luiseño, Acjachemen, Kumeyaay, and Cahuilla basketweavers who love the southern California back country. Together, we walk down steep poison oak-covered streambanks and slog up streambeds to gather Juncus textilis, hike through Rancho Cuyamaca State Park in search of deergrass, wallow in muck to photograph willow, climb precipitous hillsides to harvest chia seeds, secure clearances to visit Camp Pendleton to document ancient rock art and village sites, prostrate ourselves before the wild peonies, drink tuna/prickly pear margaritas, travel to poppy heaven in Lake Elsinore, redbud heaven on Laguna Mountain, and matilija poppy heaven in my own front yard. I work collaboratively with my art students at California State University San Marcos to help protect native lands, document cultural practices, and learn the native plants so essential to indigenous cultures as well as to the many species who share this particular part of the planet. though exploding now in a generous green canopy to shelter coyote’s croaking wife from father suns sharper summer teeth, an incalculable beauty of lazuli bunting was seen dreamlike flashing in seeming response to this gathering song like a turquoise permission sign to trespass there, amidst the Holy’s of nature still nurturing us back from amnesia and apathy. I mention it only to say thank you for your own fine blue flashing found here today in this digital domain that through your work and lens is somehow likewise natural, life giving and affirming in it’s nearly impossible existence and service to what f certainly lends hope for our children’s children’s children, in a time beyond our own. Thank you for such a beautiful, wondrous comment. Hello Deborah, I am continuing the work of Sara Tremayne (an above commenter) and would like to use one of your wonderful depicting the use of Baltic rush in basketweaving for a set of native plant ID cards we are developing to train our volunteers in native plant knowledge. May we have permission to use one of these photos, and to whom can we attribute them? i sent a higher res photo of the juncus basket to your email address. and you’re welcome to use the other one as well. How do I sign up for your blog? and email address. There are so many interesting subjects on your site. I pick, prickly pears every year, in North County San Diego. I have some great Las Tunas photos. I could not figure out where your email was located on your page, so there fore I am leaving a message here. I just wanted to remind you if you could ask the tech lab how you format the harddrive to both types of computers, mac as well as non-mac computers. Thank you so much and see you on Tuesday! Yes, you have permission to use both photos. I know both Abe Sanchez and Panchita Moreno will be so pleased, and I am as well. Please let me know if you need high resolution images for the panels. Hello Deborah, All of your work is wonderful! I came across your blog looking for deer grass basket photos to use on a set of native plant ID cards we are developing to train our volunteers in native plant knowledge. May we have permission to use one of your basket photos, attributed to you? hi sara, you certainly have permission to use a basket photo. if you let me know which one, i can let the basket weaver know as well. they’re thrilled to see their work used in various ways that help enhance knowledge about native plants and people. thank you for asking. Thanks Sara, I just let Abe know. This is super cool work you are doing. I like your gathering stories and pictures. Thank you. Abe Sanchez is leading a basket weaving class for our organization in February. He mentioned that we might be able to use a couple of your photos (of Abe and his baskets) to promote the class. Please let me know if you approve. I love your blog. Can you help me understand the visual and structural differences of Rhus trilobata from Salix after they have been split and woven? Wonderful blog! I am particularly moved by your photography. What kind of camera do you use? Wow, do I love your blog! We’d love to link to you and have you do a guest blog from time to time if that interests you. Contact me if you’re interested. Hi Do you know where I can get seends for the tricostema Lanatum (Woolly Blue Curl) plant? This work is just wonderful! I am inspired.